Available Late April 2019 !!!! 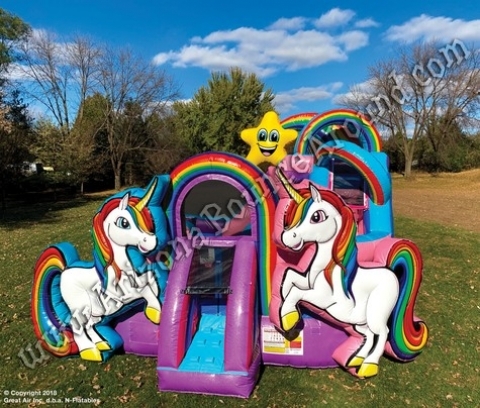 This magical Unicorn themed Bounce House features dazzling sparkling fabric and beautiful artwork inside and out including Unicorns and Rainbows. It features spacious bouncing areas, basketball hoop, a twister game mat sewn on to the floor, along with climbing and sliding lanes. This is the perfect inflatable for Unicorn parties or people needing a large bounce house for younger kids.